Together, Rep. Alexandria Ocasio-Cortez (D-N.Y.) and Sen. Ed Markey (D-Mass.) unveiled joint resolutions on a Green New Deal. 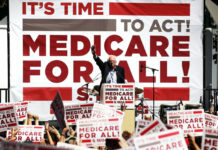 The highly-anticipated introduction made on Thursday is a 10-year plan to “mobilize every aspect of American society … to achieve net-zero greenhouse gas emissions and create economic prosperity for all,” according to the resolution. “Even the solutions that we have considered big and bold are nowhere near the scale of the actual problem that climate change presents to us, to our country, to the world,” Ocasio-Cortez said. The resolution’s goal is to transition from nuclear energy and fossil fuel in its entirety. Since the United States has “historically been responsible for a disproportionate amount of greenhouse gas emissions,” it’s time for the nation to take “a leading role”to reduce emissions “through economic transformation,” EcoWatch reported. 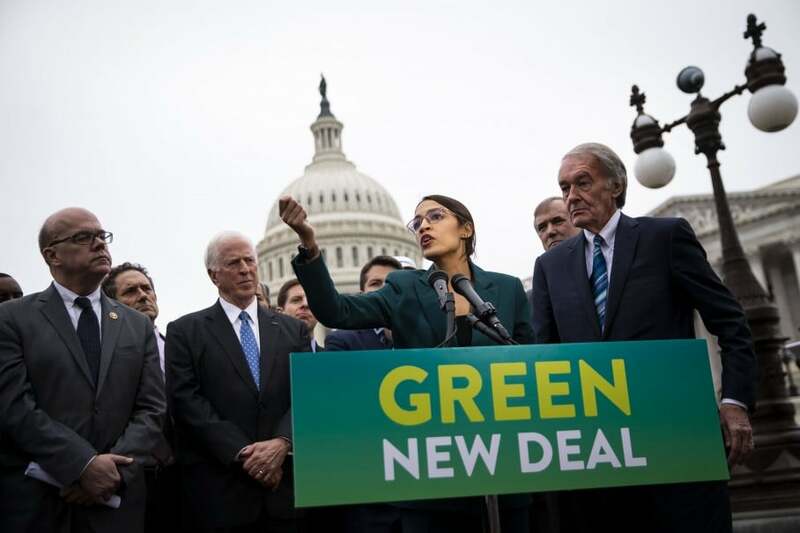 The Green New Deal proposes the U.S. start by “mobilization of the U.S. economy and creating jobs through infrastructure and industrial projects, such as zero-emission vehicle infrastructure and manufacturing; installing smart grids; updating or creating buildings that are energy efficient; expanding clean energy jobs (like solar, wind turbine, battery and storage manufacturing); cleaning existing hazardous waste sites; and restoration of damaged and threatened ecosystems,” EcoWatch reported. There is also a social justice component to the resolution to help protect all citizens especially those mostly affected by pollution and climate change. “We are going to transition this country into the future and we are not going to be dragged behind by our past,” Ocasio-Cortez said. For more detailed information about the Green New Deal and frequently asked questions, click here. Previous articleKamala Harris: Progressive prosecutor?